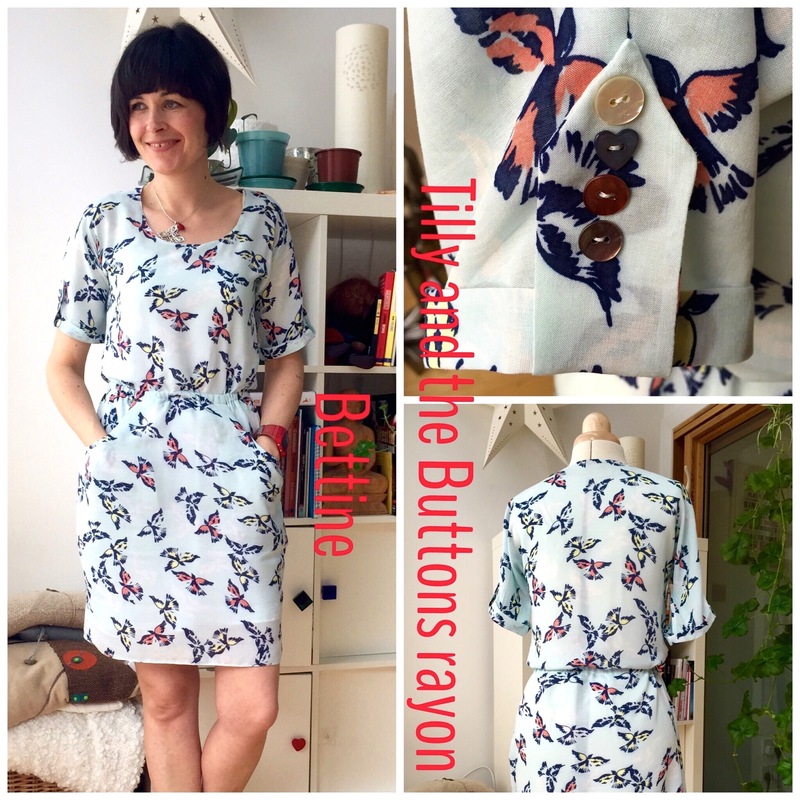 I have just finished the very speedy and easy make that is the Bettine dress from Tilly and the Buttons. Bettine is my 3rd T&TB pattern. I also had a go at a Miette skirt in denim (worn loads- definite wardrobe staple) and more recently a very bright stripy Agnes top. I’m not counting the mostly finished Coco lurking in my unfinished projects pile. I made this one as a sort of wearable toile to check the fit and it turned out really well. The fabric came from the Remnant Kings sale and was a complete bargain when I bought it. 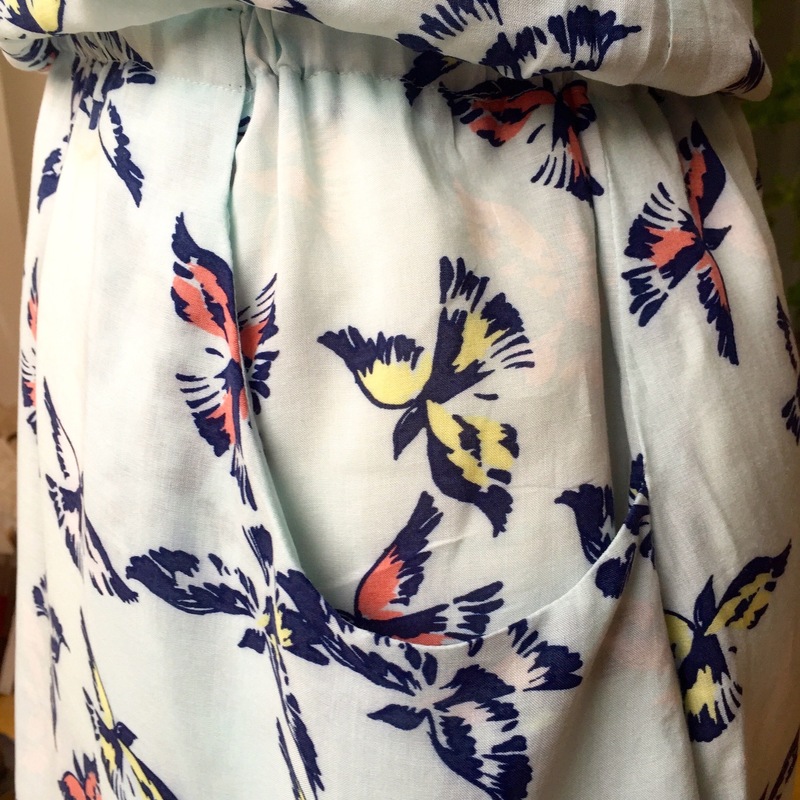 It’s a lightweight viscose with a lovely bird print and feels great to wear- perfect summer dress fabric. 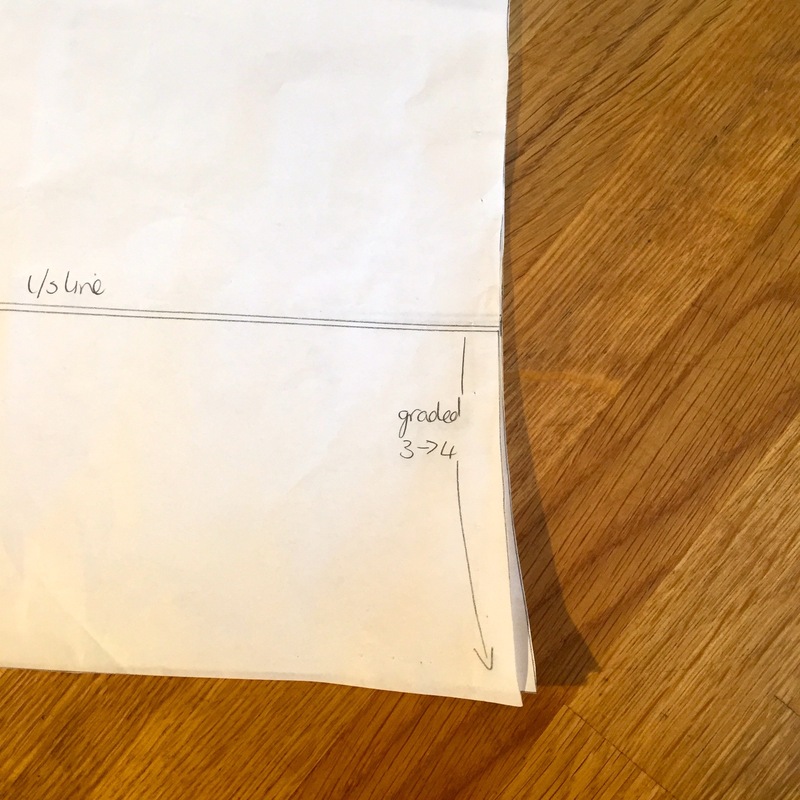 The only changes I made to the pattern were to grade from a 3 to a 4 at the waist and to add the option of a bit more length on the sleeves I cut them to the length of the largest size. I removed a tiny bit at the neckline as I cut the front bodice too. I usually have issues with gaping at the neck but not with the Bettine- great fit on the bodice and shoulders with no alterations needed. The fabric was a bit all over the place so I spray starched it to make it easier to work with. The construction was really straightforward. I had some extra fabric on the front facing for some reason so had to adjust a bit there. I skipped the topstitching around the neckline and just hand-stitched the facing to the shoulder seams. So far so good- no peeping facing and a nice clean finish to the neckline. The bodice and skirt fitted together well. 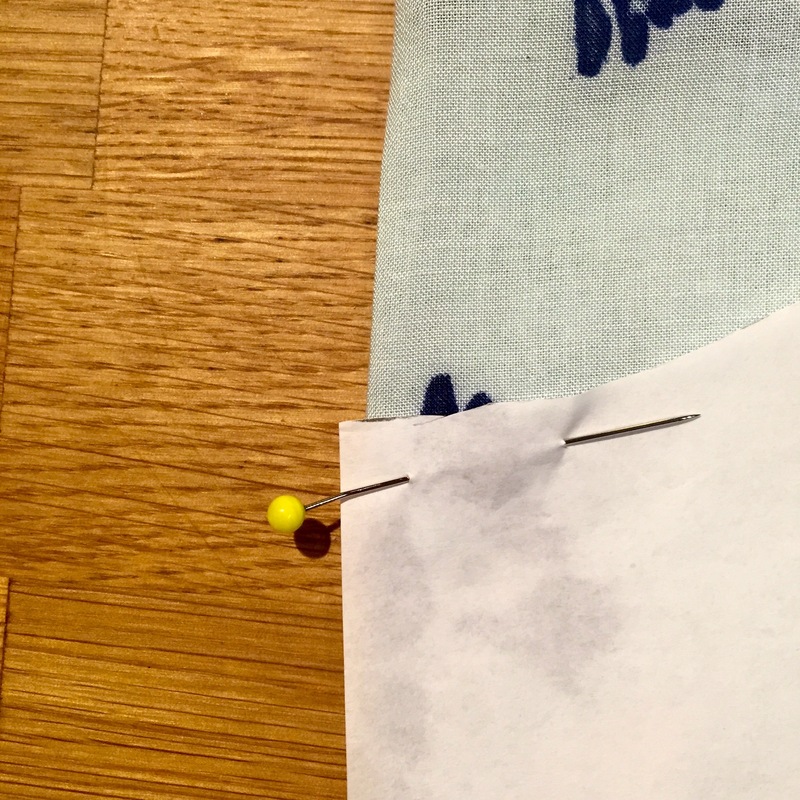 I pinned them at the edges instead of at 1.25″, which is the stitching line. This gave me some excess fabric when I got to the final section which was easily sorted by unpicking and realigning on the stitching line. Next time (there will definitely be a next time) I’ll pin on the stitching line and probably hand baste it first to get a nice precise finish. I ran into a bit of bother getting the elastic through the waistband casing at the pockets despite the basting stitches holding them in place. 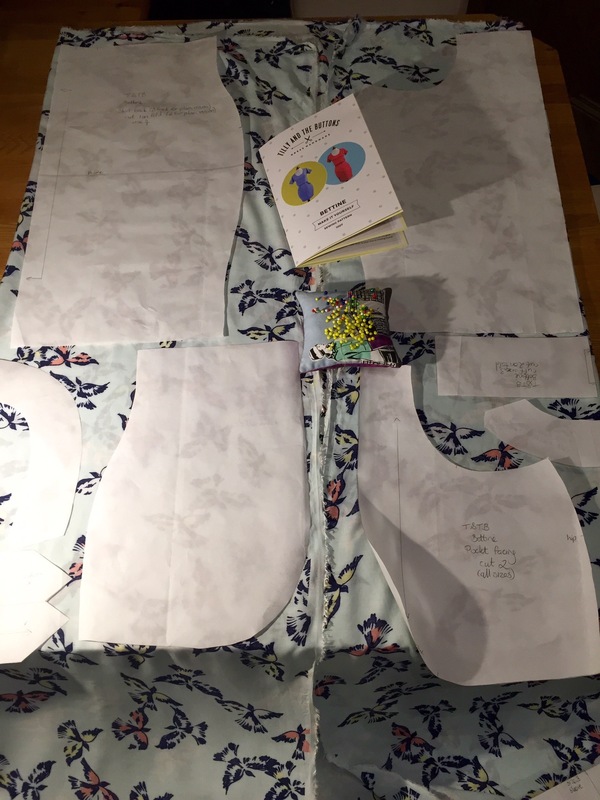 It was quickly solved by opening a couple of inches at each pocket and giving the elastic a helping hand on it’s way through then restitching those small sections. 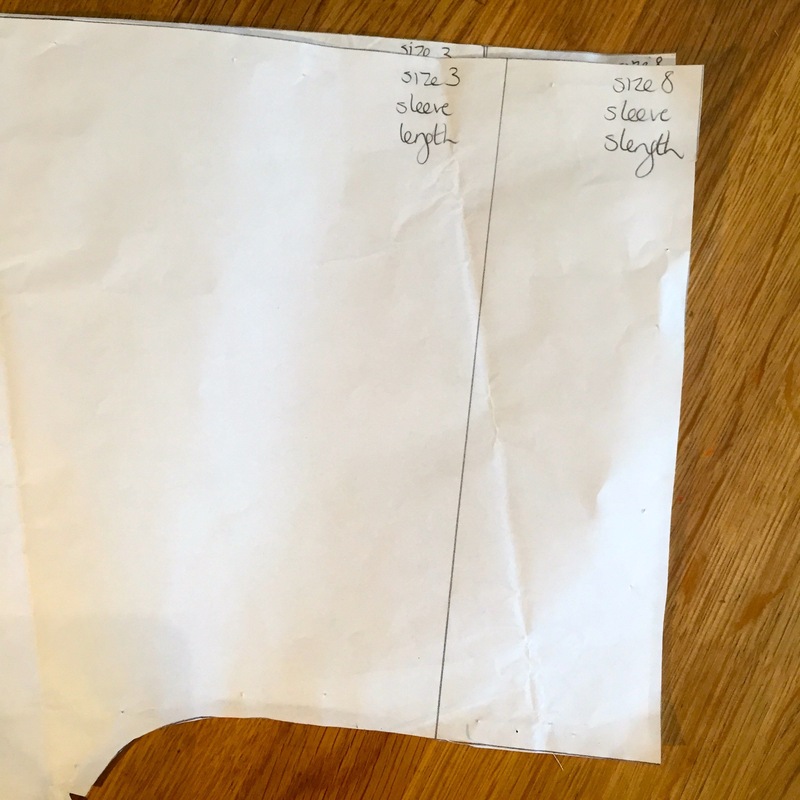 The elastic made fitting and finishing the waist really easy, the pattern instructions are very helpful here. I didn’t want to make the dress any shorter so I used a quarter inch 3 thread overlock to finish the bottom edge, folded up another quarter inch and stitched it down. I’ll add an inch and a half to the length next time to give me more length to play with and so I can hand finish the hem. I also used the overlocker to finish all the inside edges with a three thread narrow stitch- same settings as my rayon BHL Anna. All in all- great pattern and instructions, really quick to put together, easy fitting and a joy to wear! Oops, predictive text! Swithering not slithering!! Thanks Claire! The joys of auto-correct :-D! 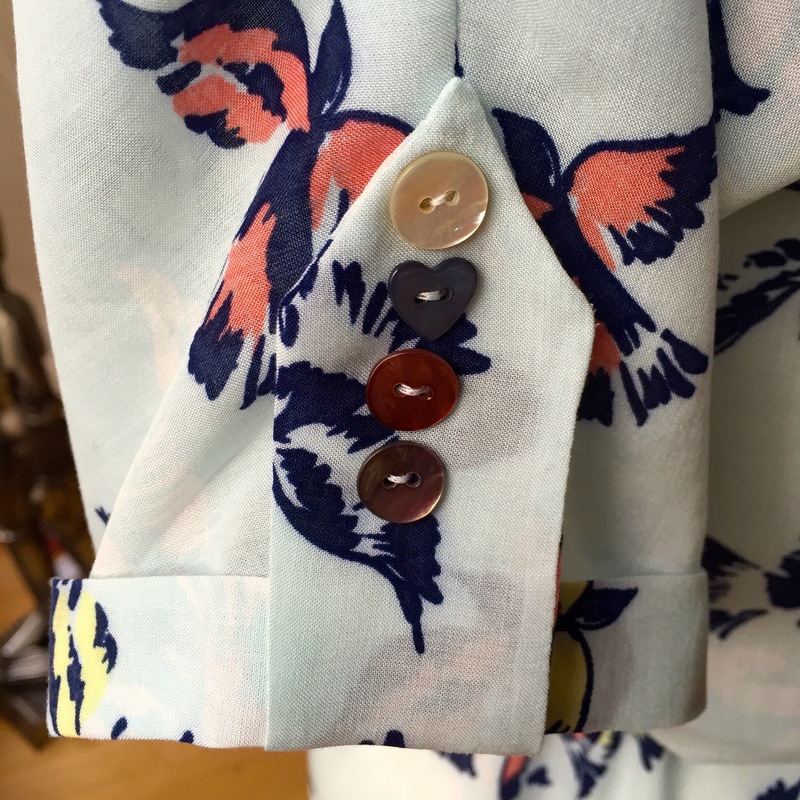 It’s a great pattern, really easy to put together and to wear. I’ll definitely make more (the fabric is already ordered). This is my favorite Bettine I’ve seen so far! Love it! And the fabric is amazing, too.